Cutting the Cord and Cutting the Bills: Survey says! 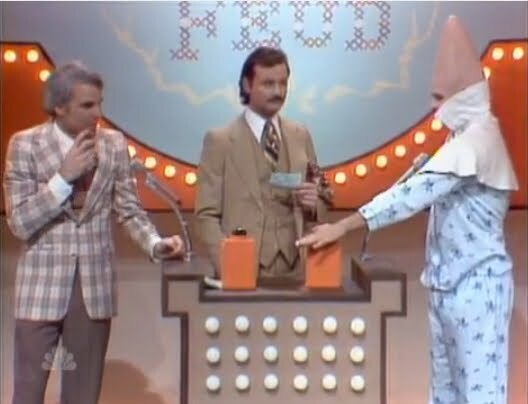 Fans of the early Saturday Night Live shows might remember this mock episode of Family Feud featuring Steve Martin, Bill Murray, and Dan Aykroyd. Classic TV Comedy! The real Family Feud game show centered around guessing the most popular answers to a survey. Recently, a friend of mine has been bugging me about changing the blog. You might have noticed that many of the posts are about a Media PC and cutting the cord. When I first started the blog I thought I would make the focus a bit more broad as I'm interested in many other ways (and technologies) that can help reduce monthly bills. I do have lots of posts planned and could write about different things. So, I thought I'd do my own survey. I've also put together a simple poll (see the top of the blog), but feel free to leave comments here too. In particular, do you like posts on a wide variety of topics and technology or are you interested in only specific areas? Are the posts too detailed (or not enough)? In what ways could the blog be better or more interesting? Personally, find a ton of sites out there about cutting costs, but not as many about cutting the cord. I'd prefer focus on the TV aspect. I prefer the TV aspect, but I like small doses of the other stuff (like the t-mobile pre-paid posting) as well.